Tū Kotahi Māori Asthma Trust was formed in 1995 as a result of feedback from whānau and Māori providers in the Wellington rohe. 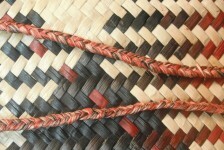 The membership consisted of the Māori asthma providers and marae in the Wellington region. 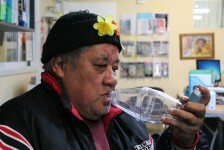 It became the first Māori Asthma Society in New Zealand. In 1997, Tū Kotahi was contracted by the Asthma Foundation of New Zealand to provide regional asthma coordination and training services for Māori in the wider Wellington rohe. In 1999, Tū Kotahi was contracted by the Hutt Valley District Health Board to provide asthma education and advocacy services to whānau in the wider Wellington rohe. 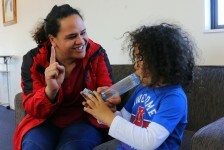 Tū Kotahi was contracted by Piki Te Ora ki Te Awakairangi Primary Health Organisation to deliver asthma education and advocacy services to Māori affected by asthma. Tū Kotahi was set up specifically to meet the needs of Māori by providing education, support, advocacy and resources in asthma. 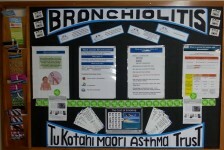 Over the past five years Tū Kotahi has provided Kaupapa Māori Asthma Training to whānau in the Lower North Island. However some training has reached as far as the Chatham Islands. In 2008 the Tū Kotahi Māori Asthma Trust Correspondence Course will offer to community health workers, nurses and asthma educators working in the community with Māori who suffer from asthma, a distance learning package. This Correspondence Course enables students to develop skills, knowledge and the attributes required to support their work in the Māori community with whānau who have asthma.